High-rises, businesses, and government organizations recognize that protecting their people, assets, and operations is imperative to their success. The front line of defense is often the building lobby or a locked door to a critical operation. Smarter Security protects both of these entry points with intelligent and elegant solutions utilizing IP technology. 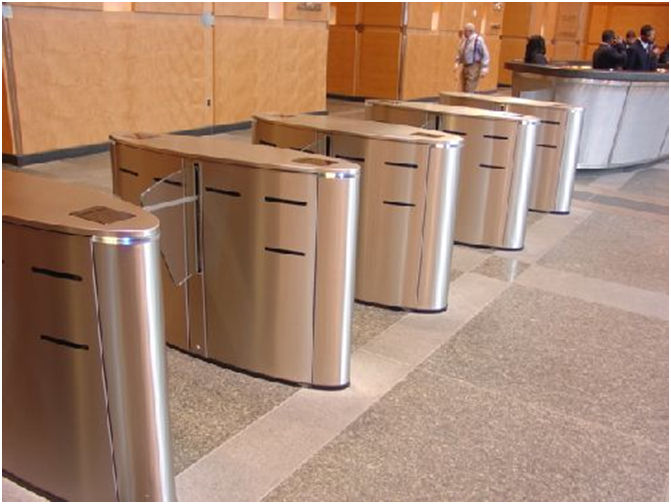 Barrier turnstiles: The highest level of security with glass or metal arm barriers to deter and obstruct unwanted entry. Barrier-free turnstiles: A balance between securing the entry and the convenience and speed of an open lobby. Door Detective: The missing link in access control keeps areas secure even when the door is open.